to "The Big Questions" of life. Some folks pretend they have it all figured out. Others get to work to try to actually figure it out. Lots of folks are interested in the topics we explore. Antifragile happiness, for example. Meaning. Figuring yourself out. Inner strength. Relationships that aren't disasters. Mental clarity and emotional strength. Avoiding deathbed regrets. "Really living" instead of "just surviving." Other folks are more interested in "The Big Questions." What's it all about? Who am I? Why am I here? Where did I come from? Where am I going? How should I live? What's the point? What the heck is going on? At the same time, lots of folks are navigating this treacherous terrain alone. And with bad maps, broken compasses, rusty canteens, etc. Lots of folks think about this stuff. But secretly, often. In the back of minds. They often won’t talk about it. It’s like a hidden little pocket of unspoken, forbidden thoughts and questions. (It can be hard to bring it up sometimes. Especially in a culture that's often obsessed with inconsequential nonsense.) And a major obstacle with this stuff is going at it alone, with no support system. There are also a number of folks who have been exploring this kind of stuff for a long time. They know a lot. They have a ton of experience. They have a huge load of lessons they’ve learned the hard way. They could probably help some folks, and save them some trouble, by passing on some of what they've learned. Yet, they're often being passed by and ignored. 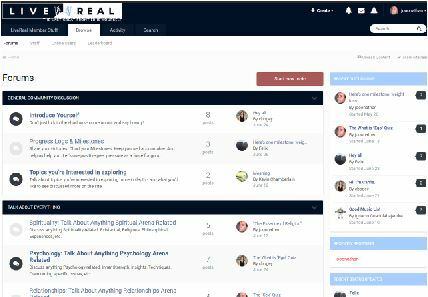 LiveReal is a place where folks who are interested in this stuff can meet up. It’s a place where like-minded folks can compare notes, trade tips, swap advice, and quite possibly, help each other figure a lot more things out, a lot faster. Plenty of folks bump into this kind of stuff once in a while. But some folks are a bit more serious about it. They aren’t satisfied with bumper sticker philosophies and mere slogans as a guide to life. They know that appearance isn't reality. Just the opposite: if you want the truth, you’ve got to dig for it. In other words, some folks are Seekers. It’s open-minded yet tough, truth-seeking but fair. It’s where religion and science meet common sense. So if you’re interested in this kind of stuff too…welcome aboard. So this is where we’re supposed to give you a big fancy sales pitch. Your pricing will never increase as long as you're a member. This is how we keep our computers fed. We aren't asking for donations or handouts. Our goal is to provide value to you that's far beyond what you put into it. We aren't under the thumb of any Daddy Warbucks who tells us what we can say. We have no academic department heads, white-wig-wearing Council of Elders, or corporate overlords telling us what we're allowed to explore or not. We aren't trust-fund babies. We explore wherever the evidence leads us. And then we share it with folks like you. We don't collect information about you and sell it, and we never will. 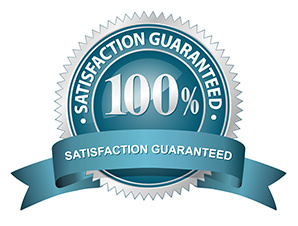 There's also no upselling, no secret “upgrade to the Super-Mega-MEGA-$10k-Level for the real stuff” scammy nonsense. It's just us - our hearty, scrappy little ragtag team of underdogs - and you, and other folks like you. So, what do I get if I join? This is the online course (more details below) that lays the foundation, sets the stage, cuts a path through the jungle with a machete to help make way for more advanced conversations to come. It’s also the fruit of decades of research, investigation and painstaking experimentation. It’s an introductory-level course, but it’s also a huge amount of clear, no-nonsense content on some difficult topics that could save you years of wandering in the wilderness. More about the course below, or a more in-depth description here. "How To Not Be Manipulated: The Basics In 15 Minutes"
A lot of folks out there want to manipulate you. This is how to defend yourself. Working on yourself and really figuring yourself out is hard enough when you get great advice and rock-solid information. But with bad advice and confusing, badly-communicated, slippery misinformation and sloganeering, it’s way more difficult. In fact, it can even make things worse. There’s a flood of hype, noise, and expertly-marketed, well-intentioned nonsense out there. But the real risk: just few bad ideas can throw you off course for years. (We've learned a few things the hard way.) Even good ideas – but at the wrong time, or used in the wrong way – can turn into time-wasting detours and time spent barking up wrong existential trees. To help remedy this, we’ve gathered a list of resources we recommend that, in our opinions, are solid, trusty, or least-likely-to-send-you-on-a-misguided-and-unnecessary-odyssey. Think of it as a kind of “Consumer’s Reports” guide for The Big Stuff. We’re all drowning in information overload these days. But mere information just clutters the place up…unless you apply it, translate it into understanding, integrate it into real life. A group of folks who are interested in the same things, on the same page, working together to help everyone succeed…? Crazy, wild idea, we know. Let’s face it: the culture these days isn’t exactly fertile soil for contemplative thought. Enough of this can convince a lot of thoughtful folks to “go at it” all alone. And we all wind up poorer because of it. A lost art: good, old-fashioned conversation. We feature a private, members-only Discussion Board where you can ask questions, have conversations, share tips, rant a little, compare notes, get (and give) reality checks, get stuff off your chest, tell dumb jokes and get weird in a friendly and supportive environment with other folks who are interested in this stuff. We've told search engines to stay out, so it’s just us. At any rate, the culture here is designed to support mutual respect, reasoned dialogue, fruitful discussions, friendly disagreements, lively interactions, support, honesty, tough love, and…did we mention ultracool, interesting, fun, intelligent and highly attractive people? Oh yeah - that too. Complete and total spiritual enlightenment. Which is nice. We’re working to make ourselves a bit more wise, a little more sane, fulfilled, compassionate and all kinds of fairly mushy stuff. But this isn’t all about mush. We’re also working to solve serious problems. The topics we explore touch on deal with things real people are struggling with. Meaninglessness, angst, nihilism, depression, anxiety, suicide, relationship problems, existential crisis, stress, and good old-fashioned “the world just doesn’t make sense” syndrome. We’re working to explore no-nonsense, practical, workable, affordable solutions to situations like these. Because sometimes (despite what some nameless corporate overlords might say), the answer isn’t simply a matter of finding the right happy pill. It takes some hard thinking, and figuring stuff out, and soul-searching. We’ve been working on figuring some of this out quite some time now. And we’re still working on it. But we want to do more. We have a pretty big storehouse of unpublished stuff that’s in-progress but isn’t ready for prime time yet. The vast amounts of time, energy and expense it takes to create all this is painstakingly, vividly real to us. But by becoming a Highly Esteemed Patron, you help us do more. There are other ways we think about what we’re trying to do here. • your own private Think-Tank. • your own team of Information Brokers. • your own personal Support Network. • your own community of Core Inner Strength Trainers. • your own Secret Club of Like-Minded Folks. Folks working together can often get better results than folks working separately. A good community of people giving you feedback, reality checks, suggestions, support and so on can make a huge difference. By an order of magnitude. This is the kind of community we’re working to build here. "I've been cruising around LiveReal. I'm mightily impressed with your professionalism, ambition and erudition, especially given that it's all served up with such appealing humor and self-deprecation... I coulda used LiveReal when I was a messed up 20 (or 30) year old, it might've saved me a lot of grief. Or not. But I woulda felt like I had more company on my path..."
"LiveReal is a true gem, tackling the most vitally important issues of the modern world in a way that desperately needs to be heard. I believe LiveReal has the potential to truly become a force to be reckoned with in psychology and spirituality." "Exactly what I am looking for. A real group of people concerned about spending time concentrating on what is really important…"
"IT IS THE ONLY HONEST THING I'VE SEEN ON THE NET"
"Great Articles.....a focus on something truly practical. Something normal people can grasp which isn't rooted in esoterica and vague theoretical mumbo jumbo. And yet, a site which acknowledges that there's got to be something more, something beyond the mundane grit of everyday." "I have never run across anything like this. Never have I been invited to join and communicate with other people who understand the true nature of this bizarre place that we call "Alive""
OK, so, umm, what is this about again? What if I join, and then suddenly change my mind and decide that I hate you? So, can I definitely cancel at any time? A bit jittery, are we? Ha - no problem. Totally understandable. Seriously, our plan is not to take your ten bucks and hightail it to Tijuana. So…yes. If you join and decide it’s not a good fit, then we’ll give you a 30-day, easy refund, no sweat. Why a community? Why not just a blog? Is there any kind of secret, hidden agenda here? Is anyone secretly controlling you behind the scenes? LiveReal is secretly owned by some sinister, shady corporate supervillain that’s part of some elaborate and diabolical plot. LiveReal is 100% free of that kind of stuff. We are fully and completely funded and operated, 100%, by us – the creators – and you – our revered Patrons. We create it, control it, operate it, steer it, own it. Which means we have no corporate boss telling us what we can say and not say. No university department head dangling tenure in front of us, telling us what we can research and what we can't. No angry sergeant pounding his desk, yelling that he's been getting lots of heat because of the questions we've been asking, telling us we're off the case, asking for our guns and badges, ordering us to to stop sniffing around and causing trouble. We follow the evidence down wherever weird, twisty trails it leads, and bring it back here for you to poke and ponder. And that is our plan: to keep be able to continue to follow the truth, as we find it, wherever it leads. Are you promising to cure all my problems? We think of this as kind of like a gym. A gym doesn’t promise to lift the weights for you. That part's up to you. In the same way that nobody can eat, drink, sleep, breathe and etc for you, nobody can “work on yourself” for you. But we’ll do our best to give you the tools, give you a clean, dry, supportive place to work, hopefully surround you with other folks who are doing the same thing so you can swap pointers, discuss finer points of stuff, spot for you, tell you to maybe avoid the month-old lo mien in the refrigerator, and high-five you every so often. 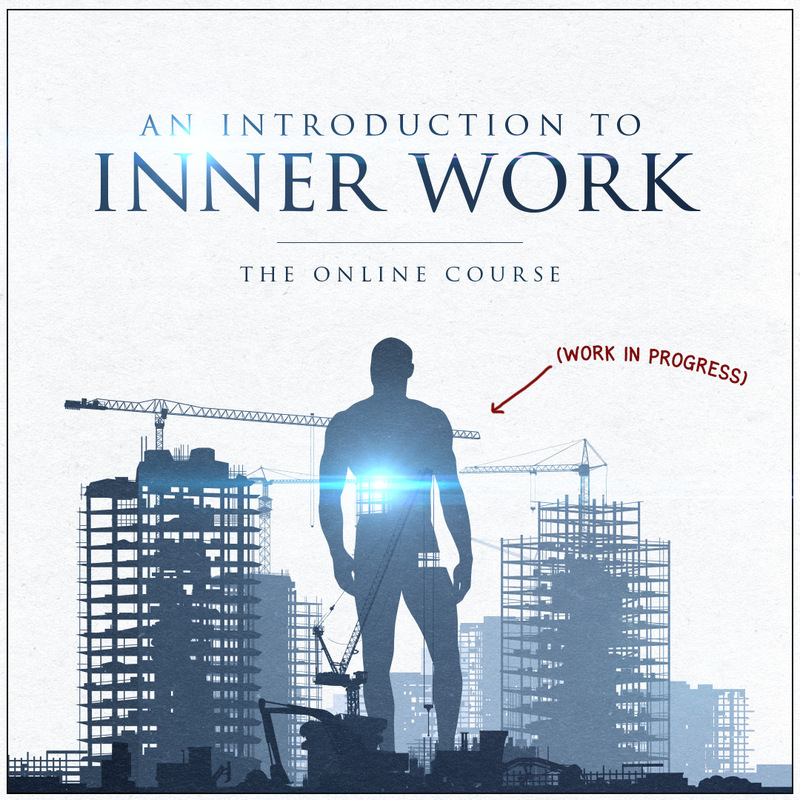 SO, WHAT'S IN THE "INTRODUCTION TO INNER WORK" COURSE? That is yet another great question. Below is a partial Table of Contents. Or, you can get a more in-depth description here. The pdf by itself is 192 pages. There's a really clear and handy Table of Contents that allows you read everything in order or skip around if that's your style.